You can’t overemphasize the stories when you describe your business. The best business plans are stories, and the best pitches are stories. Your most important story tells how and why somebody buys your product. That buyer, not you, is the hero of the story. Explain his or her problem, how he finds you, what makes her pull money out of her wallet (or click the link, or whatever). Except in special cases you should lead with that story. And if you don’t tell it well, you’re doomed. Pitch tip: don’t start with a boring introduction; start with a slide showing a great picture, nothing else, and use that picture to tell your story. Do the introductions later. Seize interest first. Wake people up. Make them care. Your second-most important story is why you, meaning why your company, why do you exist, how did this happen, what is unique about you or your company that differentiates and enhances your solution to that buyer’s problem. That’s often but not always a story of starting. Sometimes it’s the story of an idea, a technology, a quest for solutions, or solutions coming together. What story you tell depends on what makes your business different. Your third-most important story, if you’re pitching to angel investors, is how you’re going to make them some money if they write you a check. That’s essentially exit strategy, but let’s be honest, nobody cares that much about what you say today will be your exit strategy in three years; they want a story that reassures them you know that’s going to be important. 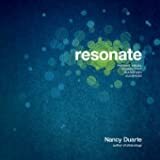 Pitch tip: spend a few bucks and go get Nancy Duarte’s Resonate: Present Visual Stories that Transform Audiences and read what she says about telling stories to business audiences. It’s well worth the time and money for anybody who ever talks to a business meeting, let alone an investor pitch. Respect your embedded stories.